Shopping around for the best home theater furniture Columbus, Ohio has to offer? Then look no further than the Amish Originals Furniture Co. When it comes to offering the best and widest selection of Columbus, Ohio furniture, we go above and beyond what other furniture stores offer. 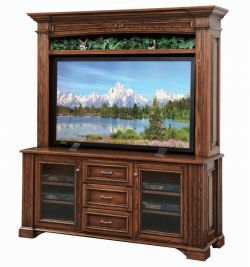 Variety – We carry an extensive variety of furniture for every room in your home. 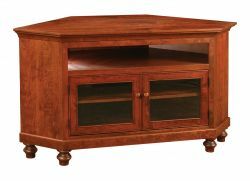 So if you are considering buying home theater furniture, the Amish Originals Furniture Co. name will be your best result, but the same goes for any room of the home, including the outdoors. Quality – It starts with the finest of American hardwoods and then gets crafted into the individual pieces you choose when you place your order. That’s right, each and every piece is made to order and hand made following that order. You get quality from the wood to the time honored traditions in craftsmanship used to build each piece you order. Affordability – Why pay more at other “furniture stores” when they can’t possibly match our selection and quality? You will quickly realize when you shop with us that our competitive prices are better than what you find elsewhere and on pieces that can’t possibly match our quality standards. You are not just buying furniture in Columbus, Ohio when you shop at Amish Originals Furniture Co. You are investing in quality furniture that will be handed down for generations to come. Customer Care – Some customers know what they want and just need help placing the order. Others need assistance making each decision that goes into selecting furniture for every room of their home. Our expert staff members know just how to give you the individual care and attention you need and expect when you shop for furniture. Get friendly and knowledgeable assistance from each and every one of the team members here at Amish Originals Furniture Co.
We want your shopping experience with us to be the best one possible. Believe it or not, shopping for home furniture can be an enjoyable experience. Don’t just take our word for it, though. Come by and browse our showroom and let us show you how easy and fun it can be. From making your choices to selecting the wood and finish, it all becomes part of an enjoyable and unique shopping experience like nothing you could get anywhere else. Since 1992 we’ve made it our priority to take care of our customers. By working with more than 80 families around the Amish communities of Ohio we are proud to have become part of the Ohio culture and community itself. So come by and see for yourself what makes us the top choice for home theater furniture Columbus, Ohio residents and surrounding areas rely on.